20 years ago McDonough was not as popular to live as it is today. But it seems that these days more people are looking to get away from all of the bright lights and city noise. Atlanta and all of it’s surrounding areas are growing at a phenomenal rate, year after year. Being originally from Atlanta it is easy to see the major changes that have taken place over the years. The real estate industry in Atlanta is booming right now. There is not even enough inventory to keep up with the demands for housing. If you are considering moving to Atlanta or any of it’s surrounding areas. McDonough is a great place to live, especially if you have a family. The schools are great, there are plenty of places to shop and there are a variety of great options for dining. If you need to make a trip into the city, it is just under 40 miles from Atlanta which is about a 35 – 40 minute drive. In McDonough you experience the breathing of fresh air, you can see the stars much clearer at night, you can see all of the beautiful vegetation everywhere, all kinds of beautiful birds, live stock and a host of other wild life. I mean this is great wholesome country living at its finest. In McDonough you get more bang for your buck. You can get a nice spacious home with a good amount of land. That is not the case buying a home in the city or even relatively close. For the price you would pay in McDonough, you would be lucky to get 1,200 sq ft and 1/4 of an acre versus the 2,500 sq ft and at least 1/2 of an acre you would get. The median home value in McDonough is $183,500. The value of homes have gone up 7.9% in the last year. That’s what happens when an area is in high demand ,the value of the homes go up substantially. For those of you that know anything about real estate knows that this is a great thing. Why? The buyers that purchased homes at the median $183,500 on last year reaped the reward of an extra 7.9% in equity. That is a whopping $14,600 in one year. Wow! That is a great increase in equity. Realtors plays a major role in the flow of traffic between all of the transactions that take place during the buying or selling of a home. This process can be very tedious and stressful. When picking a realtor it is very important to find someone that is service oriented. Why? Realtors have to be licensed and affiliated with a broker. So, make sure who ever you choose for an agent is catering to you from the first conversation. By that I mean, answering and returning calls in a timely manner and being responsive to emails. A good service oriented agent should have any problem patiently answering any questions that they are asked, no matter what the question is. In today’s housing market, home owners are more self sufficient when it comes to buying or selling a home. With home searching tools such as Zillow and Trulia, home owners can see the same listings and pricing as realtors. With these awesome tools you can pin point different areas, find pricing, and in some cases you can pretty much see the entire home through pictures or even a virtual tour. A good realtor is still very important because not only are they privy to certain information, but they have access to the homes, they help you with all of the paper work involved in the process, they help you negotiate pricing, they know the housing market, they just help make the process of buying or selling a home much, much smoother. 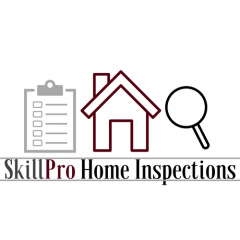 I know a lot of people that skipped out on the home inspection, only to find themselves forking out thousands of dollars to fix issues that a certified home inspector could have easily found. So, how do I find a home inspector to hire? This can be tricky, especially in Georgia. Simply because Georgia is one of the states that does not require a home inspector to have a license to inspect a home. A lot of home inspectors believe that just because they have worked in construction, that they don’t need any training to get into this business. Wrong! Make sure to ask your home inspector, what kind of training institute did you attend to become a home inspector? The home inspectors that haven’t had proper training are probably going to tell you that they are certified members of International Association of Certified Home Inspectors(InterNACHI), which is the organization that I am affiliated with or American Home Inspectors Training Institute(ASHI). Internachi and Ashi are great organizations to be a member of and affiliated with because they do offer a variety of certifications and continued education. However, just being a certified member isn’t enough to be a good home inspector. Live extensive training from a real certified and skilled professional is necessary to be a good home inspector. There are schools such as Home Inspection Training Institute Today(Hit-It), which is the institute that I attended and American Home Inspectors Training Institute(AHIT) that provide live and very thorough training. Make sure the home inspector that you hire is service oriented, properly certified,and properly trained. Beside you pay a home inspector for what they know, not what they do.